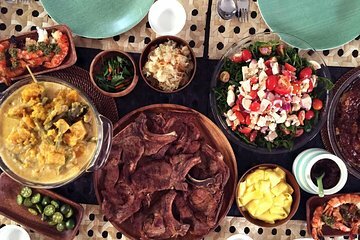 Learn to cook Filipino food in this private cooking class in a chef's Manila home. Follow a host and chef into their garden to pick ingredients, such as calamansi and lemongrass, which you'll use to prepare some Filipino family recipes in a private kitchen. Learn about Filipino food and culture through the cooking lesson and your guide's commentary as you enjoy the food you've cooked.